The first royal palace in Bangkok, The Grand Palace was built in 1782 during the reign of King Rama I. In the same year, the Thai capital had been moved from nearby Thonburi to its present location, as the Thonburi site was both susceptible to invasion and prone to flooding. King Rama I initiated the move and decreed that a royal palace would be built adjacent the new capital. The Grand Palace served as official residence of Kings Rama I to Rama V.
The official residence of the country’s kings since 1782. Past monarchs lived in the palace until 1925, with each royal court and government likewise based here; the current king continues to use the venue for official events. Partially open to the public as a museum, the building remains a working palace with several royal offices inside. The original palace encompassed approximately 50 acres, but King Rama II deemed the site’s inner part, which was set aside solely for the Queen and Princess, as too small. Thus the inner area was doubled and then divided into three parts: outer, middle and inner court areas. Today the grounds comprise more than 100 buildings, each with fascinating histories and records of architectural experimentation linked to the structures. Indeed, many buildings evince what came to be known as ‘Rattanakosin style’, or traditional Bangkok architectural style. 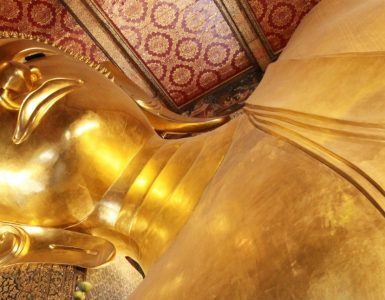 Perhaps the most well-known feature of Thailand’s Grand Palace is The Temple of the Emerald Buddha, also known as Wat Phra Kaew. More properly termed a chapel rather than temple as the site contains no monks’ living quarters, the compound was completed in 1783 and is named after its revered Buddha image carved from a single block of jade. 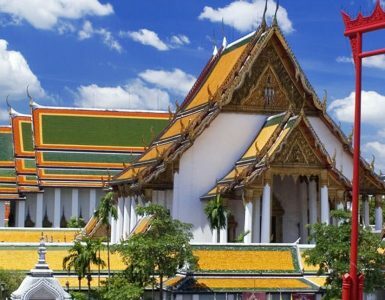 The Grand Palace remains one of the top attractions in Thailand, with travellers from around the world visiting to gaze upon the many magnificent structures and learn about Thai culture and history. The Grand Palace is open every day from 8.30 a.m. to 3.30 p.m. Guests staying at Novotel Bangkok Ploenchit Sukhumvit can easily reach the Grand Palace by taking BTS SkyTrain to Taksin Station and then connecting to a river taxi boat. Otherwise, go the land route via metered taxi; the ride takes approximately 20 to 30 minutes depending on traffic.